Real Madrid will not give Barcelona a guard of honour if the Catalans have clinched the Spanish title before next month's Clasico, Zinedine Zidane said on Saturday. Barcelona lead La Liga by nine points with eight matches left and entertain Real in the penultimate round of the season. In Spain it has become traditional for opponents to form a guard of honour for the champions. 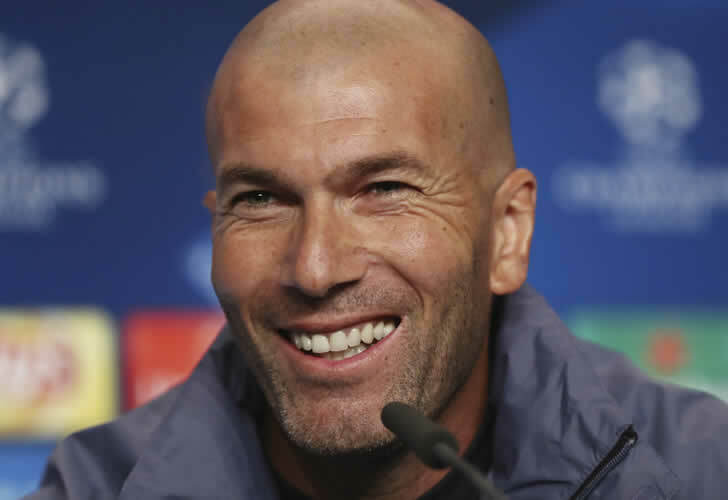 "We're not going to do the guard" Zidane said at a press conference ahead of the Madrid derby against Atletico, who are also Barcelona's closest pursuers. "It's my decision and that's it," said Zidane. "I don't understand the point of the guard, so we aren't going to do it. Anyway, we are a long way from the end of the season." Zidane insisted the decision had nothing to do with Barcelona's refusal to form a guard of honour at the Clasico in Madrid in December just after Real had won the Club World Cup. Even so, he acknowledged that Barca had "broken tradition". Zidane also insisted Gareth Bale was still "an important player", even though the Welsh winger is playing less and remained on the bench in the Champions League victory at Juventus on Tuesday. "These are decisions," Zidane told the media. "You say he's playing less or in less important games, but for me that's not the case." Rumours have linked Bale to a host of other clubs, notably Manchester United. "However we finish the season, my feeling is Gareth is going to stay," said Zidane.